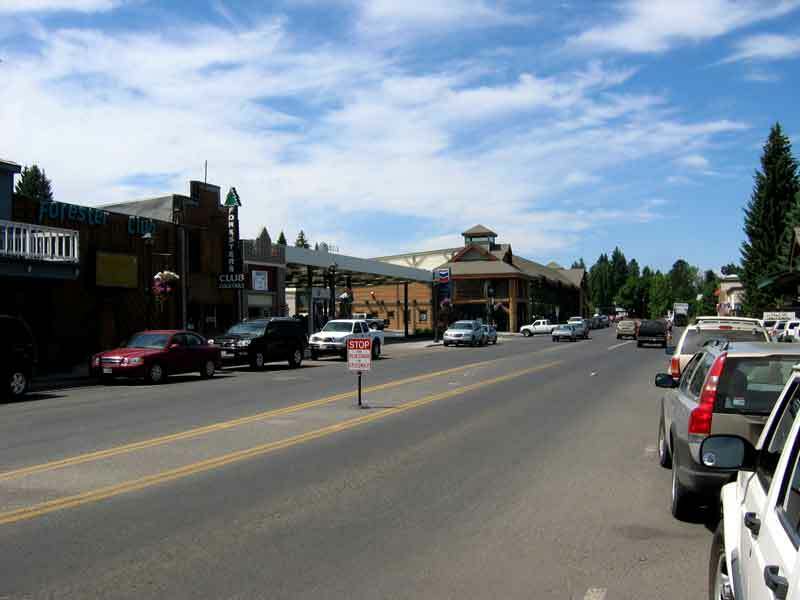 McCall is a resort town in western Idaho. 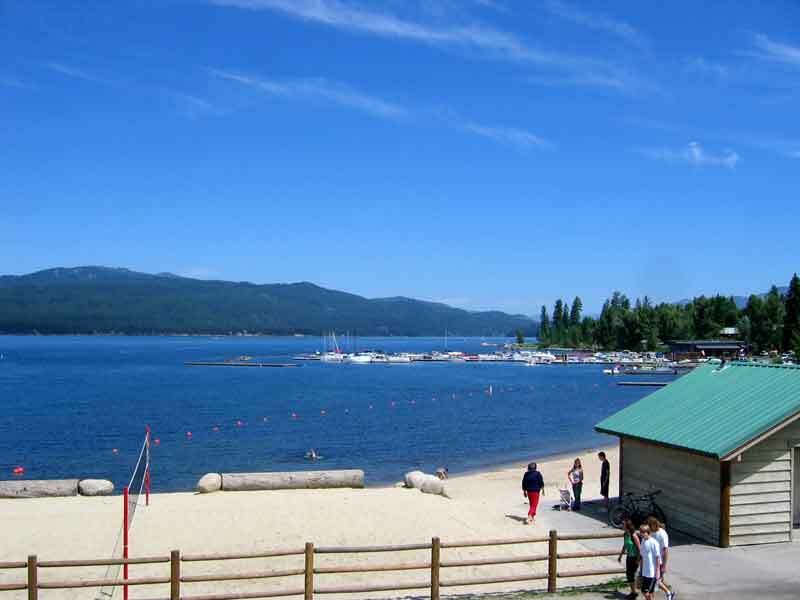 It is situated on Payette Lake and is a major center for water sports and fishing. It is a fun town that even has an ice skating rink. We ended up here because we were in the area and had heard about a new high-end RV Park that sounded really interesting. As it turned out, the part of the park that we were to stay in was still under construction when we got there, as the city had been late in getting the sewer connections installed. We were to stay in a campsite on the river, but they put us in a very nice site up the hill from the lodge. We toured the area and Ted even had some good fly fishing in the Little Salmon river about an hours drive from McCall. 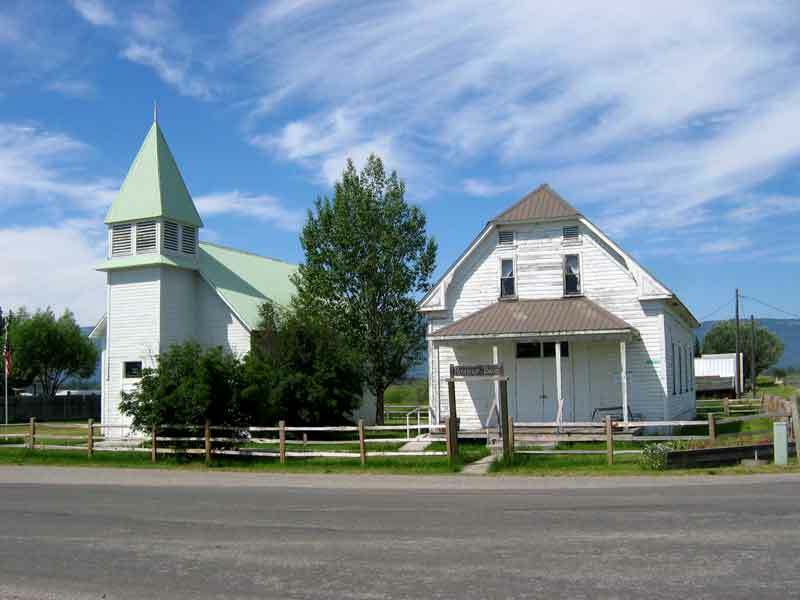 Left: Roseberry was the main town and market place, but the railroad came through Donnely instead. 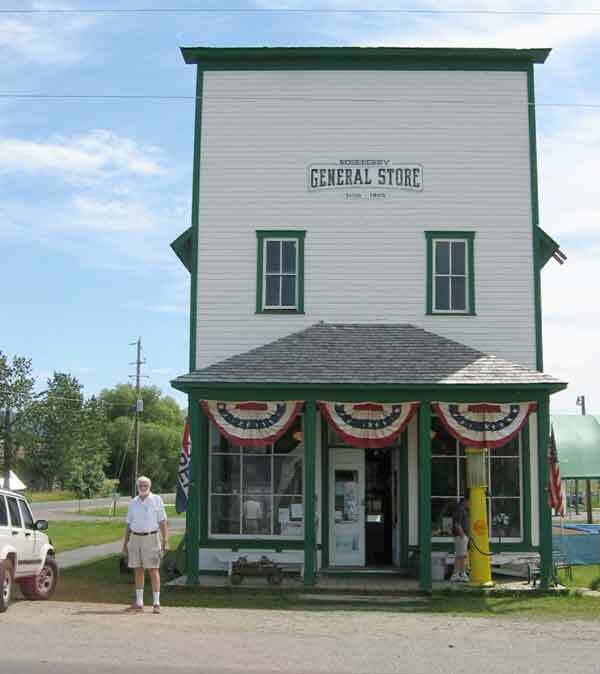 Right: The General Store is still operated, mostly as a tourist attraction and museum. 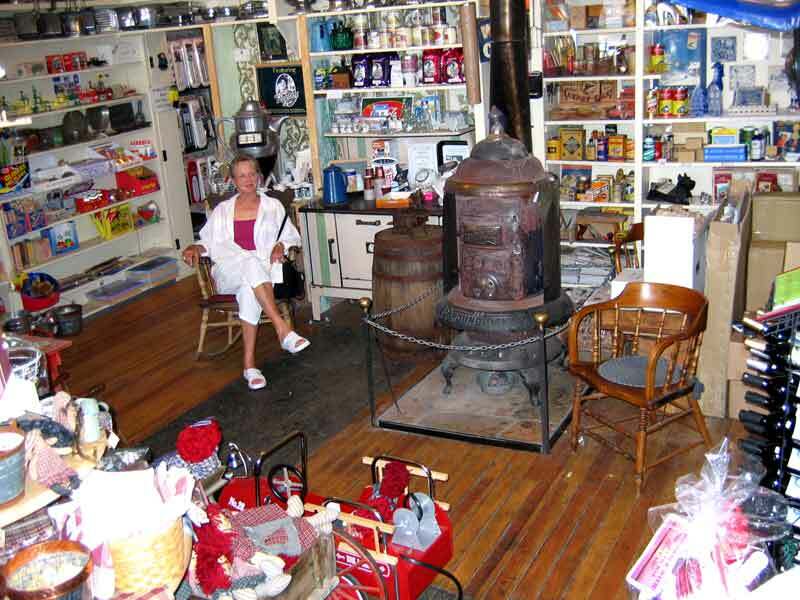 This area in the General Store was a place where locals would gather for conversation.